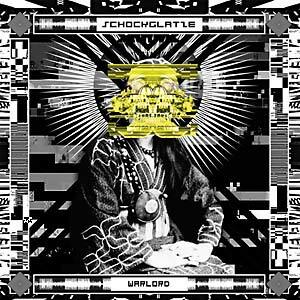 Schockglatze is the distillate of a longstanding collaboration between artists working across the frontiers of several forms; Spänk, Nik Nowak, and Moritz Stumm have been causing a stir within the art and music worlds for years. Spänk forms the solid basis for the studio productions of Schockglatze; Nik Nowak has worked closely with (the late) DJ Rashad and DJ Spinn; Moritz Stumm, aka Ultramoodem, brings to Schockglatze an inimitable rhythmicity and graphic dimension. The Warlord EP showcases their various influences. Cheribibownsken features Infinite Livez. Includes a remix by Hyperdub's Ikonika.